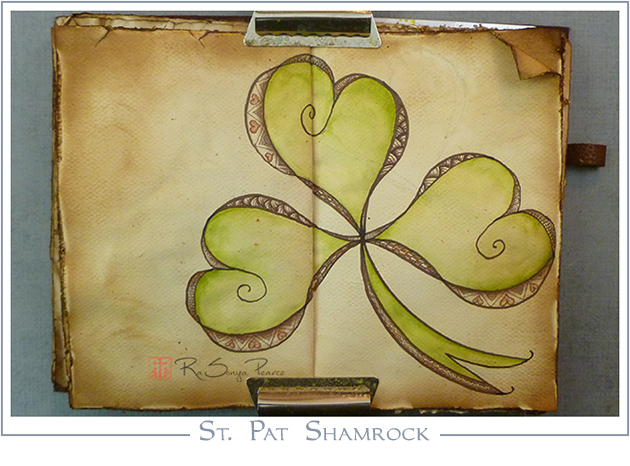 To celebrate, I whipped up a St. Pat’s Shamrock. This was my first ever attempt at ‘tangling’. So. Much. Fun!!!!! This could be addictive, LOL. 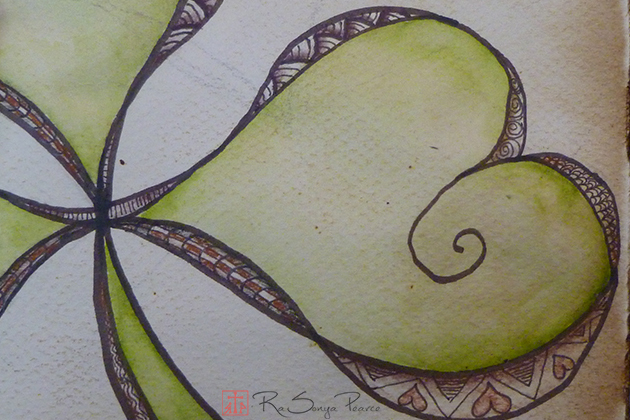 The leaves of my shamrock were inspired by a heart in Joanne Fink’s book, Zenspirations: Letters and Patterning. A wonderful book, love it!